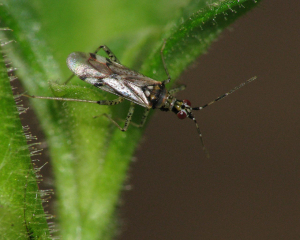 A Mirid bug that has recently started colonising the UK, probably by spreading from imported Snap-Dragons (Antirrhinum majus), its main food plant. See mention in this issue of Het News. If you grow Snap-Dragons in the garden it might be worth having a close look at them this year.